Comment: Front lawn, around mailbox, both sides of sidewalk from driveway to front porch, area flower bed in front of main bedroom. Possibly both sides of house as well. Comment: Remove and haul away debris from shrub and dead bamboo removal. Comment: I would like to get an estimate for grading the slope of the grounds in my back yard. Saint Charles Landscaping Companies are rated 4.79 out of 5 based on 859 reviews of 36 pros. 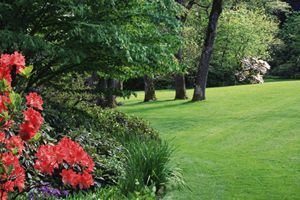 Not Looking for Landscaping Contractors in Saint Charles, MO?